One of the most interesting parts of when a vessel is donated to the Foundation is meeting with the donor and reading through the paperwork aboard. 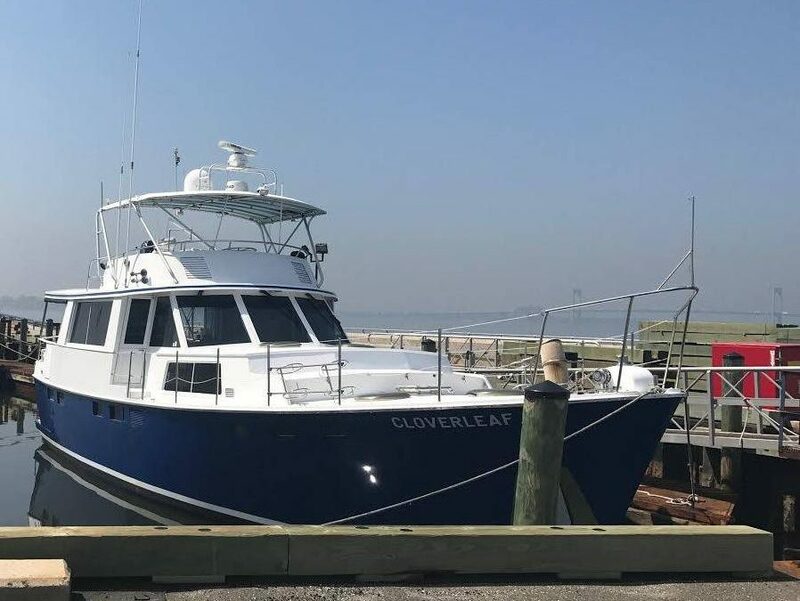 In the case of CLOVERLEAF, a Krogen Trawler, it required far more than just command of the English language. Cruised extensively by well known cruisers David and Beverly Faiges, she voyaged through the Bahamas, up and down the Eastern Seaboard and even the around the Mediterranean! Enroute to Kings Point from West Palm, she stopped in Charleston to provide lodging for our Warrior Sailors who were racing in Charleston Race Week. Now that she is at the Academy she’ll have some of her systems upgraded before joining the Power Squadron. Her single screw and bow thruster configuration will be a great training platform for shiphandling, and her plentiful accommodation spaces will be great for cruises out east. Look for her in Greenport and Montauk later this summer! Have any ideas for her? Contact Ralf.